OPEL - ASTRA H - 1.3 CDTI. OPEL - ASTRA H - 1.7 CDTI. OPEL - ASTRA H - 1.9 CDTI. OPEL - ASTRA H - 1.9 CDTI 16V. OPEL - VECTRA C GTS - 1.9 CDTI. OPEL - VECTRA C - 1.9 CDTI. OPEL - VECTRA C Estate - 1.9 CDTI. Fit 638 Series CDI Vito 2000-2004 WDF638/VSA638 Both Cdi Models (OM 611 Engine) Turbo Vacuum Transducer Pressure Converter. Our warranty is valid for max. 24 months without mileage limitation. With these parts you can replace your defective parts simply plug and play. AUDI A3 (8L1) 1.9TDI (1996/09-2003/05). Audi A6 (4B2,C5) 1.9TDI (1997/01-2005/01). AUDI A6 Avant (4B5, C5) 1.9 TDI (1997/11-2005/01). AUDI A4 (8E2, B6) 1.9 TDI (2000/11-2004/12). AUDI A4 Avant (8E5, B6) 1.9 TDI (2001/04-2004/12). Audi A3 8L1 1.9 TDI 2000 - 2003 Alternatives may be fitted - check OEM Number. Audi A3 8L1 1.9 TDI quattro 2000 - 2003 Alternatives may be fitted - check OEM Number. Audi A4 8E2, B6 1.9 TDI 2000 - 2004 Alternatives may be fitted - check OEM Number. OEM Part Number Quality Warranty: 24 Months. Citroën Xsara Picasso N68 2.0 HDI 1999 - 2007. Citroën Xsara N0 2.0 HDI 109 2001 - 2005. Citroën Xsara N1 2.0 HDI 109 2001 - 2005. Citroën Xsara N2 2.0 HDI 109 2001 - 2005. Citroën Relay 230L 2.0 HDI 2001 - 2002. BMW - 3 (E46) - 320 i. BMW - 3 (E46) - 323 i. BMW - 3 (E46) - 325 xi. BMW - 3 (E46) - 328 i. BMW - 3 (E46) - 325 ti. BMW - 3 (E46) - 320 Ci. BMW - 3 (E46) - 323 Ci. BMW - 3 (E46) - 328 Ci. NISSAN MICRA [1992-2002] ONLY FOR PETROL ENGINE. Nissan 22680-4M500. Nissan 22680-6N200. Nissan 22680-6N201. hope you can understand. O.E Part NUMBER. STEPPER MOTOR ICV. BMW 5 Series E34 518 1995-1996 1.8. BMW Z3 E36 1995-2003 1.8. BMW Z3 E36 1995-2003 1.9. BMW 3 Series E36 316i 318i Ci 1990-2000 1.8 1.9. BMW 3 Series E46 316i 2000-2005 1.6 1.8 1.9. Jeep Compass MK49 [2006-2018] 2.2 CRD. Jeep Grand Cherokee MK IV [2010-2018] 3.0 CRD. Jeep Patriot MK74 [2007-2018] 2.2 CRD. Dodge Caliber -- [2006-2016] 2.2 CRD. With these parts you can replace your defective parts simply plug and play. Nissan X-Trail T30 2.2 dCi 2003 - 2007. Nissan X-Trail T30 2.2 dCi 4x4 2003 - 2007. NISSAN 22680-4M501. NISSAN 22680-5M30A. NISSAN 22680-6N201. NISSAN A36-000 K00. NISSAN 22680-5M300. NISSAN 22680-AD200. With these parts you can replace your defective parts simply plug and play. III.Fit For the Following. Our warranty is valid for max. 24 months without mileage limitation. BOSCH 1 110 010 015. TEMSA 51.10304-0291. 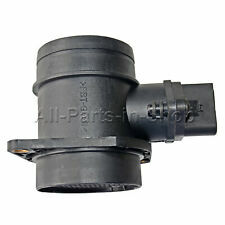 Fuel Rail Pressure Sensor For Ford Ranger Everest Mazda. FORD RANGER (ES, ET) 3.0 TDdi 2953 115 4 Pickup 2006-2012. FORD AUSTRALIA RANGER Pickup (PJ) 3.0 TD 2953 115 4 Pickup 2006-2009. FORD AUSTRALIA RANGER Platform/Chassis (PK) 3.0 TDdi 2953 115 4 Platform/Chassis 2009-2011. OEM Part Number Citroen Xsara 1998-2005. Citroen Saxo 1996-2003. CLK (C208) 320 (208.365) Petrol Engine 1997/06 - 2002/06 M 112.940 218. CLK (C209) 240 (209.361) Petrol Engine 2002/06 - On M 112.912 170. CLK (C209) 320 (209.365) Petrol Engine 2002/06 - On M 112.955 218. RENAULT GRAND SCENIC II (JM0/1_) 1.9 dCi (JM14) F9Q 816 1870CC 96KW MPV 2005-. RENAULT LAGUNA II (BG0/1_) 1.9 dCi (BG1A, BG1W) F9Q 674 1870CC 81KW Hatchback 2005-. RENAULT LAGUNA II (BG0/1_) 1.9 dCi (BG1V) F9Q 758 1870CC 96KW Hatchback 2005-. BMW 1 (E81, E87) 118d 09.04 - 90 122 1995 Hatchback. BMW 1 (E81, E87) 120d 09.04 - 120 163 1995 Hatchback. BMW 3 (E90) 318d 09.05 - 90 122 1995 Saloon. BMW 3 (E90) 320d 09.05 - 110 150 1995 Saloon. BMW 3 (E90) 320d 01.05 - 120 163 1995 Saloon. FORD - FOCUS (DAW, DBW) - 1.4 16V. FORD - FOCUS (DAW, DBW) - 1.6 16V. FORD - FOCUS Saloon (DFW) - 1.4 16V. FORD - FOCUS Saloon (DFW) - 1.6 16V. FORD - FOCUS Estate (DNW) - 1.4 16V. FORD - FOCUS Estate (DNW) - 1.6 16V. BMW - 3 (E46) - 325 xi. BMW - 3 (E46) - 320 i. BMW - 3 (E46) - 328 i. BMW - 3 (E46) - 323 i. BMW - 3 (E46) - 325 ti. BMW - 3 (E46) - 320 Ci. BMW - 3 (E46) - 328 Ci. BMW - 3 (E46) - 323 Ci. Transporter 048133455. VW Corrado 1991-1995 2.0i 16V. VW Beetle 1992-2003 1600i. VW Passat 1988-1993 2.0 16V. VW 048 133 455. Audi Coupe 1989-1996 2. VW Transporter 1990-2003 2. Audi 100 1990-1994 2.0 E.
Vauxhall Opel Astra G Convertible 1.6 16V 74 101 1598 03.2001 -> 10.2005. Vauxhall Opel Astra G Estate (F35_) 1.4 16V 66 90 1389 06.1998 -> 07.2004. Vauxhall Opel Astra G Estate (F35_) 1.6 16V 74 101 1598 02.1998 -> 07.2004. CHRYSLER VOYAGER 2.5 CRD from 2001 to 2007. CHRYSLER VOYAGER 2.5 & 2.8 CRD from 2004 to 2007. With these parts you can replace your defective parts simply plug and play. OEM Part Number. Unbeatable Price. COMPATIBILITY IS TO BE USED AS A GUIDE ONLY. 911 Targa (996) 3.6 M 96.03 3596 235 320 Targa 01/12 - 05/08. 911 Targa (996). BOXSTER (986) 2.5 M 96.20 2480 150 204 Convertible 96/09 - 99/08. BOXSTER (986) 2.7 M 96.23 2687 168 228 Convertible 02/07 - 04/12. NISSAN - NAVARA (D40) - 2.5 dCi Pickup 106 144 2488 07.05 -. NISSAN - NAVARA (D40) - 2.5 dCi 4WD Pickup 128 174 2488 07.05 -. NISSAN - 350 Z (Z33) - 3.5 Coupe 206 280 3498 10.03 -. NISSAN - 350 Z (Z33) - 3.5 Coupe 221 301 3498 04.06 -. BMW 7 (E23) 735i M30 (1977/05 - 1986/08). BMW 5 (E28) (1980/06 - 1987/12). BMW 6 (E24) (1976/04 - 1990/09). BMW 7 (E32) 730i,iL 735i,iL (1986/09 - 1994/09). BMW 5 (E34) (1987/12 - 1995/11). BMW 3 (E30) (1982/09 - 1992/03). 1 x BOSCH AIR FLOW MASS SENSOR FITS Model Year kW HP cc Engine Code VAUXHALL - ASTRA Mk V (H) Sport Hatch - 1.3 CDTi 04.05 - 11.10 66 90 1248 Z 13 DTH VAUXHALL - ASTRA Mk V (H) Sport Hatch - 1.7 CDTi 02.05 - 11.10 74 100 1686 Z 17 DTH VAUXHALL - ASTRA Mk V (H) Sport Hatch - 1.9 CDTi 02.05 - 11.10 88 120 1910 Z 19 DT VAUXHALL - ASTRA Mk V (H) Sport Hatch - 1.9 CDTi 08.05 - 11.10 74 101 1910 Z 19 DTL VAUXHALL - ASTRA Mk V (H) Sport Hatch - 1.9 CDTi 02.05 - 11.10 110 150 1910 Z 19 DTH VAUXHALL - ASTRA Mk V (H) Hatchback - 1.3 CDTI 01.04 - 05.09 66 90 1248 Z 19 DTH VAUXHALL - ASTRA Mk V (H) Hatchback - 1.7 CDTI 01.04 - 05.09. However delays are occasionally inevitable due to unforeseen circumstances. OEM QUALITY PART. TO FIT THE FOLLOWING VEHICLES © A to Z Motor Spares (Wakefield) 2017. VAUXHALL AGILA Mk II (B) 1.3 CDTI 1248 55 4 Hatchback 2008-. VAUXHALL SIGNUM 1.9 CDTI 16V 1910 110 4 Hatchback 2004-2008. VAUXHALL SIGNUM 1.9 Turbo 1910 74 4 Hatchback 2005-2008. VAUXHALL ASTRA TwinTop Mk V (H) 1.9 CDTi 1910 110 4 Convertible 2006-2010. VDO 5WK9643. HYUNDAI SONATA Mk III (EF) 2.5 V6 24V G6BV-G Saloon 118 160 2493 06.98 - 10.01. HYUNDAI SONATA Mk IV (EU4) 2.7 V6 G6BV-G Saloon 127 173 1656 10.01 - 11.04. HYUNDAI COUPE (GK) 2.7 V6 G6BA-G Coupe 123 167 2656 3.2002-. 12 MONTHS WARRANTY. However delays are occasionally inevitable due to unforeseen circumstances. TO FIT THE FOLLOWING VEHICLES OEM QUALITY PART. © A to Z Motor Spares (Wakefield) 2017. TO FIT THE FOLLOWING MODELLS,OE QUALITY:>>. Zone 2 (Rest of the World). Always match the manufacture (OE) numbers to our lists of numbers. However delays are occasionally inevitable due to unforeseen circumstances. TO FIT THE FOLLOWING VEHICLES OEM QUALITY PART. © A to Z Motor Spares (Wakefield) 2018. 22680 7S000 22680 AW400 AFH70M-38 22680 7F408 22680-7F408 226807F408. Nissan 22680-7S000. Nissan 22680-AW400. OEM Part Number. AGILA (B) 1.3 CDTI, 2007-2015, HATCHBACK. AGILA (MK2 II) 1.3 CDTI, 2008-2014, HATCHBACK. ANTARA 2.0 CDTI, 2006-2015, SUV. ASTRA (H) 1.9 CDTI, 2005-2009, HATCHBACK / ESTATE. ASTRA (MK5 V) 1.9 CDTI, 2005-2010, HATCHBACK / ESTATE. BMW 13 41 1 744 713. BMW 13 41 1 738 545. BMW 13 41 1 738 981. Quality Warranty: 24 Months. FIAT SCUDO (272, 270_) 1.6 D Multijet 9HU 1560 66 4 MPV 2007-. FIAT SCUDO Box (272, 270_) 1.6 D Multijet 9HU 1560 66 4 Box 2007-. FIAT SCUDO Platform/Chassis (272, 270_) 1.6 D Multijet 9HU 1560 66 4 Platform/Chassis 2007-. OEM Numbers 0281002461, 074 906 461 B, 1209109, 3M211 2B529 AA, 074906461B, 000 VT5 077. However delays are occasionally inevitable due to unforeseen circumstances. TOYOTA COROLLA 1.4 16v (E11) (1997-2002). TOYOTA COROLLA 1.6 16v (E11) (1997-2002). TOYOTA COROLLA 1.4 (E11) (1997-2002). TOYOTA COROLLA 1.6 (E11) (1997-2002). However delays are occasionally inevitable due to unforeseen circumstances. TO FIT: FIAT S CUDO (272, 270_) 1.6 D Multijet. FUEL RAIL PRESSURE SENSOR FOR FIAT SCUDO. 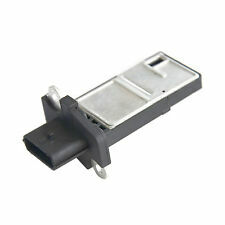 GENUINE OE FUEL RAIL PRESSURE SENSOR FOR FIT SCUDO MODELS. 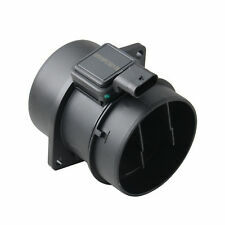 Mass Air Sensor. Fuel Injector. If there is none, we can get the accurate information ( 100%) from the dealer. 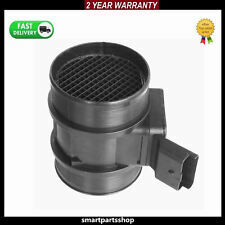 1 x BOSCH AIR FLOW MASS SENSOR FITS Model Year kW HP cc Engine Code VAUXHALL - COMBO TOUR Mk II (C) (F25) - 1.3 CDTI 16V 10.05 - 09.10 55 75 1248 Z 13 DTJ VAUXHALL - COMBO Mk II (C) Box Body / Estate (F25) - 1.3 CDTI 16V 10.05 - 11.11 55 75 1248 Z 13 DTJ Manufacturer OE Number VAUXHALL 93178243 PLEASE RING US BEFORE PURCHASING. TO FIT THE FOLLOWING RENAULT MASTER MODELS Renault Master 2.2 2.5 DCI. Mass Air Sensor. Fuel Injector. If there is none, we can get the accurate information ( 100%) from the dealer. It is your responsibility to check if this is a correct part, size and fittings before buying. Renault Master 2010 MK III [2010-2018] Box Box 2.3 dCi 100 FWD 2298ccm 101HP 74KW (Diesel). Renault Master 2010 MK III [2010-2018] Box Box 2.3 dCi 100 RWD 2298ccm 101HP 74KW (Diesel). Renault Master 2010 MK III [2010-2018] Box Box 2.3 dCi 125 FWD 2298ccm 125HP 92KW (Diesel).